Extreme Networks has announced that it’s spending $55 million to buy Brocade’s data center business. This acquisition comes just weeks after Extreme announced a $100 million bid for Avaya’s network assets. 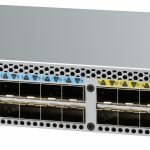 Brocade has launched a new entry-level Fibre Channel switch family, the G610. Models include 8, 16, and 24-port configurations at 16Gbps out of the box. 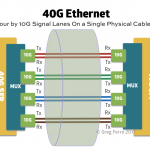 Customers can upgrade to 32Gbps optics. 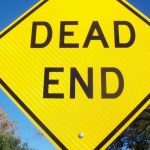 VMware has announced the end of the road for third-party vSwitches. 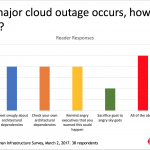 It will deprecate and eventually remove API support for Cisco NX1K, AVS, VM-FEX, and IBM DVS, among others. 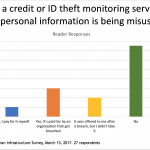 We lose twice as much to cybercrime as we spend protecting ourselves from it. 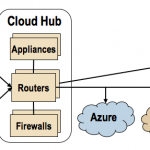 Silver Peak is releasing new features for its Unity EdgeConnect SD-WAN product, including support for BGP protocols and a stateful firewall. AppNeta has launched a new service, AppNeta Performance Manager, to monitor application and network performance from data centers and branch/remote offices. 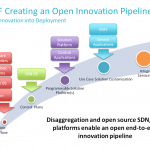 The service combines app identification, network monitoring, and synthetic transactions. Innovium, a startup that’s designing a programmable chip for data center switches, has announced Teralynx, a 12.8Tbps switch chip. 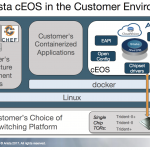 Arista has announced cEOS, a containerized version of its EOS network operating system that can be deployed on either Arista or whitebox ToR switches. Extreme Networks and Avaya Networks have jointly announced an agreement in which Extreme will purcahse Avaya’s networking business for about $100 million. 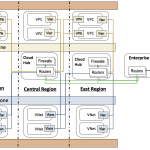 Cumulus Networks has announced that its Cumulus Linux network OS now supports EVPN (Ethernet VPN) for VXLAN, which can be used to provide a control plane function via BGP to support L2 tunneling across an L3 fabric inside a data center. I hadn’t realized how deep HPE’s partnership was with Arista to resell Arista’s data center switches.